The Petitioner is estopped from challenging the condition in the advertisement after appearing in the interview and taking a chance, said the Bench. 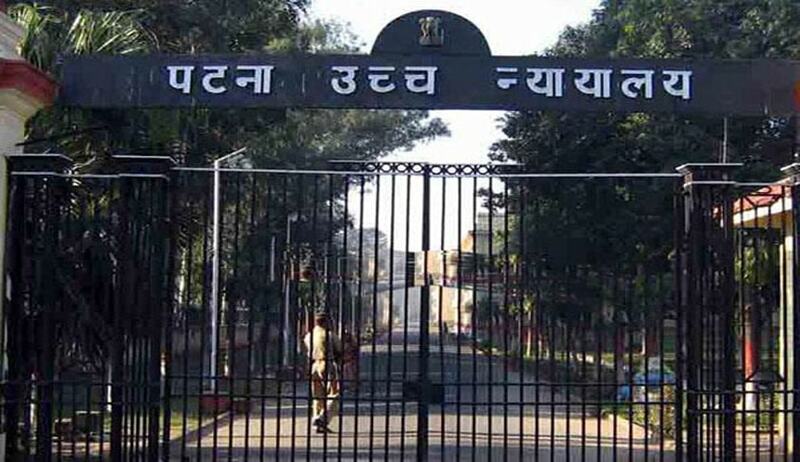 Patna High Court has dismissed the challenge against Bihar Judicial Service Competitive Examination, 2012 for selection of candidates for appointment on the post of Civil Judge (Junior Grade). The result was challenged mainly on the ground that it is in violation of Rule 15(c) and 19 of the Bihar Civil Services (Junior Branch) Recruitment) Rules, 1955 and the law, which stands settled, in this regard, that the rule of selection cannot be changed in the midst of the selection process. The preliminary test was conducted by Bihar Public Service Commission on 13th of July, 2013, the result whereof was declared on 23rd of December, 2013. The Commission published an advertisement, in the newspaper, for holding Mains Examination. The petitioner appeared in the Mains Examination, result of which was published on 22nd/26th of August, 2014. The petitioner was a candidate, who had passed the Mains Examination. On 27th of August, 2014, the High Court, while recommending the two Judges for the purpose of conducting viva voce test, communicated that there would be minimum percentage of marks for qualifying in the interview, i.e., 35 per cent would be required for qualifying in the viva voce test. In pursuance of such communication, the candidates were called for interview for viva voce test from 8th of October, 2014, till 18th of October, 2014, vide Advertisement. The Condition No. 3 was specific that as per the direction of the High Court, the minimum qualifying marks in the interview (viva voce test) would be 35 per cent. It is in pursuance of such advertisement that the petitioner appeared for interview, but has remained unsuccessful in the result published. It was on 13th of September, 2014, that the Full Court took a decision to amend Rule 15 (c) of the Rules and the communication to this effect was sent to the State on 21st of October, 2014, and, thereafter, the notification, amending the Rules, was published on 3rd of December, 2014. The petitioner argued that the rules of the game have been changed after selection process was set in motion and, therefore, such change cannot be sustained. On the other side it is argued that the petitioner is estopped to challenge the qualifying marks since there was a condition in the advertisement itself fixing 35 per cent marks as the minimum qualifying marks for viva voce. Once the petitioner was aware of such a condition, he is estopped to challenge such condition after appearing in the interview without any protest. The petitioner was a fence sitter, who took a chance for appearing in the interview, and, having remained unsuccessful, has, now, chosen to dispute the selection process. “There is no change of rules of the game, which have been altered. The only change is fixing minimum qualifying marks for the viva voce test. Such condition has been incorporated to ensure that only suitable candidates make it to judicial service. Such a condition is in the interest of better administration of justice and cannot be faulted with. The Statutory rules, though were amended subsequently, yet the fact remains that the petitioner never objected to the qualifying marks having been fixed for the viva voce test before appearing in the interview. He is, therefore, estopped from challenging the condition in the advertisement after appearing in the interview and taking a chance.